I’ve written easy to follow instructions, in PDF format, for adding Bluetooth to your vintage radio. There are over twenty photos and diagrams and, for your convenience, the eBook is printable. Assuming that you have at least some knowledge of the basics, such as soldering and competent use of small tools, you shouldn’t have any trouble assembling the parts. All the parts I’ve used in the eBook were obtained from eBay. There is a list of most of the parts, with links, on the last page. Just be aware that some parts may vary as items become unavailable and are replaced by similar parts. If you use a different type of Bluetooth board, the principal is the same: power in to the board and audio out. Just bear in mind that the connections and layout might be different. The same applies to the amplifier: power in, audio in and speaker out. If you are using different parts, be aware of the voltage requirements. All the items I describe here run from 5 volts. If you wish to run the unit from a 12 volt supply, I have included simple suggestions as to how to achieve this. 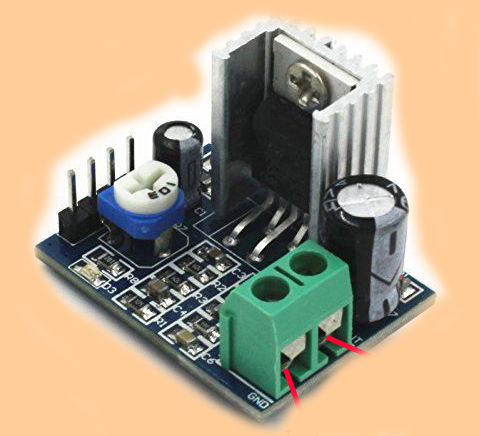 The reason for using separate Bluetooth and amplifier boards is to facilitate the use of a volume control. 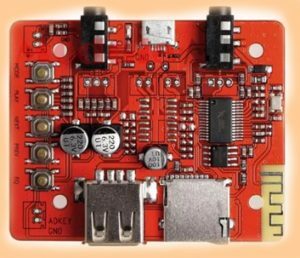 Bluetooth boards with built-in audio amplifiers do not have connections for a volume control. You will need to have an outboard volume control to replace the one in your radio. You can then use the original volume control knob on the radio to control the Bluetooth audio. Also, most boards with built-in amplifiers are stereo and require two speakers, which isn’t suitable for a vintage radio. Please watch the video before buying the eBook. The eBook, in downloadable PDF format, is £3.95. Once you have paid for the eBook, I’ll send you the link to download it. Please ensure that your PayPal email address is correct as that is the email address I’ll use to send you the link. The PayPal buy now button is at the bottom of this page. Please ensure that your PayPal email address is correct as that is the email address I’ll use to send you the link. The cost of the eBook is £3.95 which is not refundable. Check out my reviews on digital radios here.